U.S. Fall Tour is Winding Down! The 74th Show of the 2016 Never Ending Tour. Orlando, Florida, USA – Music icon Bob Dylan will perform later this year at the Dr. Phillips Center for the Performing Arts in Orlando. The 11-time Grammy winner will play the Walt Disney Theater at 8 p.m. on Nov. 22. Tickets start at $59.50. 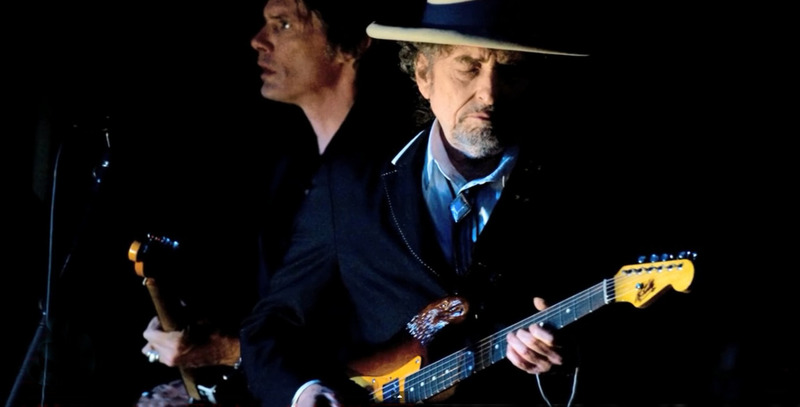 Dylan has been making music for more than 50 years and is known for such hits as "The Times They Are a-Changin'," "Like a Rolling Stone," Blowin' in the Wind" and "Knockin' on Heaven's Door." He was inducted into the Rock and Roll Hall of Fame in 1988. Playing guitar, keyboards and harmonica, Dylan will perform with a full band at the one-night-only engagement in Orlando. ERK was one of the remaining ummph tunes. Only two shows left, can we get a Narrow Way right about now? Enjoy the day & evening Bach & Waves! Yes, Gale, we could certainly use a Narrow Way. That would blow things outta the water for sure. How can you not enjoy that?! Have a great time Tambach and Waves! Tour winding down - have fun Floridians - enjoy the Bob show tonight!! I may be wrong, so someone correct me...but...with the exception of Indio1-Vegas-Indio2, and maybe a few Euro Fests & Rome, wasn't the last time Bob DIDN'T consistently open with Things have Changed at Barclay on 21 November 2012? That was 4 years ago yesterday. Maybe there were others in between when he opened with something else, was there? It's so hard to remember. Anyhow, I'm venturing to guess Thangs Have Changed is about to happen yet again, in 10 minutes. Waves & Bach are luckier than me. Thanks to Kathleen and Susan & Al for the phone calls and Gert Aanen and Harald Hix for the emails. Last edited by Bill Pagel on Wed November 23rd, 2016, 03:00 GMT, edited 2 times in total. Thanks for your faithfulness, Bill Pagel! Glad it worked out well for you. I like how these shows are quietly heralded by folks that attend. Solid shows that can't be judged by simply looking at a barely-changing list. The ones that go, know. And that's a Fall wrap. You are a rock that rocks! I was there last night. I thought the show was fantastic!